A traditional Bengali meal comprises at least five elaborate courses starting with some bitter dish to cleanse your palette and ending with a sweet note with some milk based sweets or dessert. 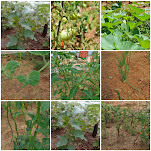 The fisrt course emphasizes on some bitter preparation with ucche or Bitter gourd, Neem leaves. Next come lentils and bhaja or some fried vegetabes like fried potato or brinjal or leafy greens etc, this is followed by vegetable dishes which are mildly spiced like Charchari (skillet charred veggies with mustard paste), Chechki (dry veggies dish cooked in its own juicewith tempering) or Dalna (light gravy item) etc. then comes the ubiquitous Fish dish without which no Bengali meal is complete and this can vary from chhoto macher charchari (small fish with mustard gravy) to Ilish Macher Paturi (hilsa wrapped in bananleaf with spices and coconut). The meat dish follows next and truly Bengalis love their Mutton curry. Chatni mostly are prepared with seasonal vegetables like tomato chatni in winter and mango chatni in summer. Dessert in Bengali households mostly are either Mishti Doi (sweetened red yogurt), Rosogolla or Payes(rice pudding). And after all this heavy eating the meal is said to be digested with some Pan or betel leaf with areca nut and kattha. I guess this gives everyone a very clear perception of what food loving Bengalis are. 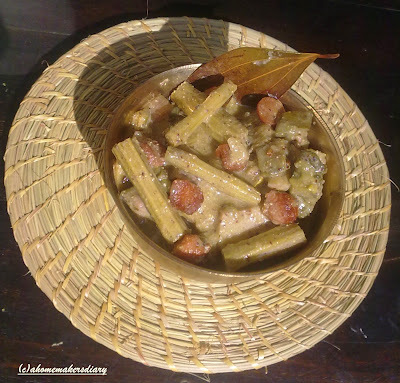 Today am going to share my favourite bitter preparation Shukto, the traditional Vegetable dish with a prominent bitter taste. This is said to cleanse one's palette and is strictly a lunch dish and Bengalis don’t eat bitter and green leafy vegetables for dinner. My mother says its because bitter and leafy vegetables are difficult to digest and dinner should comprise something light. Shukto is also considered to be the most difficult recipe to cook and it’s almost like an achievement for a Bengali girl to cook her shukto perfectly. Before my marriage I never tried my hand in cooking shukto but now it’s almost a ritual to cook it every weekend to satisfy the shukto loving taste buds of my hubby. I believe (like all other daughters) that my maa makes the best shukto in this world and though I cook it almost every week still it’s not even close to her preparation. She cooks it with milk and mustard paste and adds some dry roasted masala at the end to make it more flavorful. Though this is one of the most famous dishes in Bengali cuisine but different variations can be seen. 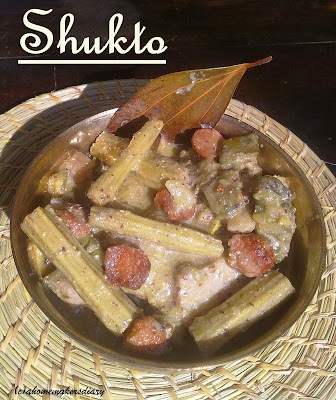 Almost every Bengali household has their own recipe of shukto. At my in-laws place they cook the shukto with shiuli pata (Parijat Leaves) and my mother in law doesn’t add milk. In our house we cook our shukto with kaanchakola(plantain), potato, shim (broad bin), Sojne danta(drumstick), begun (brinjal), Raddish, bori (sun dried lentil dumplings) and uchche (bitter gourd) and depending on the season we keep on adding veggies like jhinge (ridged gourd),Penpe(Raw Papaya) or lau (bottle gourd). One can change the veggies according to one’s likings but Bittergourd, brinjal, Plantain and sundried lentil dumplings cannot be replaced. It is said that a minimum of five vegetables are required to get that perfect taste.Also if you do not want to add milk then replace it with a pinch of sugar to balance the taste. One of my cousin brother is a chef in a renowned 5* hotel. During his entrance interview he was asked to name two authentic Bengali dishes that no other region has. He named Shukto and Posto. Again he was asked to tell the two most important ingredient for Shukto, to which he answered Plantain and milk and he got through. The best compliment I got for my shukto was from my father and a cousin brother. They loved it so much that in spite of having chicken in the menu they insisted on having most of their meals with shukto. Today I made this dish on someone’s request. My friend and her family came for lunch and her Husband liked my shukto preparation earlier and requested to include this in the meal. Dry roast all the ingredients till the aroma rises. Then dry grind, cover and keep aside. Mix the ground mustard-poppy seeds paste with 1/3 cup water and keep aside. Heat 1 tsp oil in a deep pan and fry the sundried lentil dumpling or wadi till it changes colour. Keep aside. Fry the bitter gourd pieces till lightly brown and keep aside. Keeping ½ tsp oil add the rest to the pan and sauté all the veggies with salt and grated ginger till soft. Add the masala paste and mix to coat everything. Keep on cooking on low flame till a lightly fried aroma comes through. Add 1 cup of water and boil till the juice thicken (approx 4-5 minutes). Add the fried bittergourd pieces and keep this aside. 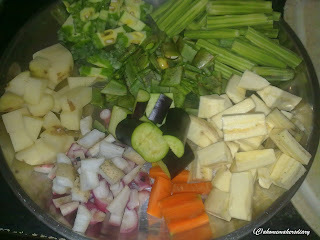 Now heat ½ tsp oil and put the tempring ingredients, once splutter tip in the vegetables. Check the seasoning till the gravy is thick. Add the milk, fried wadi and again cook for a couple of minutes. Add the ghee and roasted spice powder at the end and serve hot with steamed rice. Between the broad bean, raddish and eggplants used in this dish are from my own kitchen garden. The Green patch is producing incredible results. Am sending this healthy dish to cooking with Seeds: Fenugreek started by Priya and this month guest hosted by SE of Denufood.com. also this bowl is off to Anita's vegetable Marathon: Eggplant. And, Health Nuts challenge 4: bitter better Health of Yasmeen. lovely mouth watering dish and yummy too.you can visit my blog and give ur comments. This is indeed a dish to try. I just have to collect all the vegetables that go into this dish and make it. Beautiful click and interesting combination of veggies. aha.. Shukto! I first had Shukto at a friend's place and absolutely loved it. It is very good that you posted this delicious recipe, I have it bookmarked now. Based on the description it looks like it can be made with no milk also, right? Wonderful intro to bengali cuisine too. this dish is totally new to me...so tempting...nice click.. Bitter start, with multi veggies. If its goof for the tummy and make us more hungry for the other courses..bring it on! We make something similar called aviyal, a mixed veggie dish with coconut. wow, what a fully nutritious dish..very good..
Hi. I had first heard about Shukto in the film bawarchi. Love the recipe and it's simplicity. @ISG, you dont need to use all the vegetables that I have used. just use bitter gourd, brinjal, plantain and any other veggie that you have. @Gulmohor, I guess the same. love Avyal too. @PJ, yes without milk also it could be could in that case add a pinch of sugar before taking off from heat. @Ruchika, that gives a good start to all the spicy dishes that follow suit. @Somoo, glad that you liked. 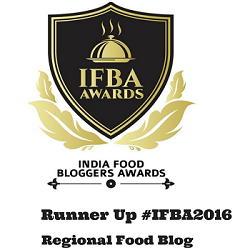 @Sushma, thats the best part of food blogging. so many new recipes we get to learn. @silence, thanks for visiting me and am glad that you liked my page. @Pari, yes thats one of my fav movie. Shukto looks perfect and delicious. By the by, omum water is ajwain water. thx for visiting my blog and for those wonderful comments..u ve a great space here..with all yum yum recipes...do keep in touch! eta amar boroi favorite khabar:-) keu na khelo ami nijer jonne prayei kore ni. esp. when i have the karela from my yard in summer.. so delicious. Kola pata e khele, gorom bhate shukto is pretty nostalgia. Shukto is new dish for me...interesting! !looks so healthy and delicious! 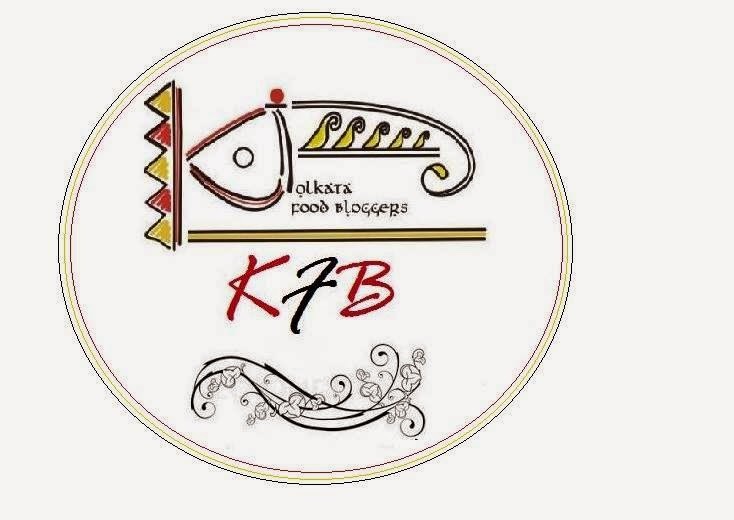 Thanks for sharing .We are able to know and learn about bengali cuisine. Very very new to me,combo sounds interesting,must be tasting good too! I love shukto very much and I prepared it today. I shall try out your recipe also. Looks wonderful and mouth watering. @Suparna, that certainly is a very comforting dish. @Kothiyavanu, thanks and welcome to my page. @Raks, glad that you all are liking it. @Babli, share your version too. Its a very new dish to me.. Very interesting..
Can't stop reading your blog and recipes :-) This Shukto looks delicious! I have been trying to make shukto but have not yet managed to find the right way of doing it! (meaning to taste as nice as my mother in law's one). I will try this one soon! Hey Sayantani thanks for all the recipes. Ami tomar blog ei karon khub hi pochondo kori ki shob recipes authentic aar shobar ingredients perfectly mentioned as well as explained. Good job I will keep visiting you blog to search for recipes that will bring the real taste of kolkata. This recipe sounds rich and delicious.. Very well made Fabulous recipe. Looks so so so yummy!